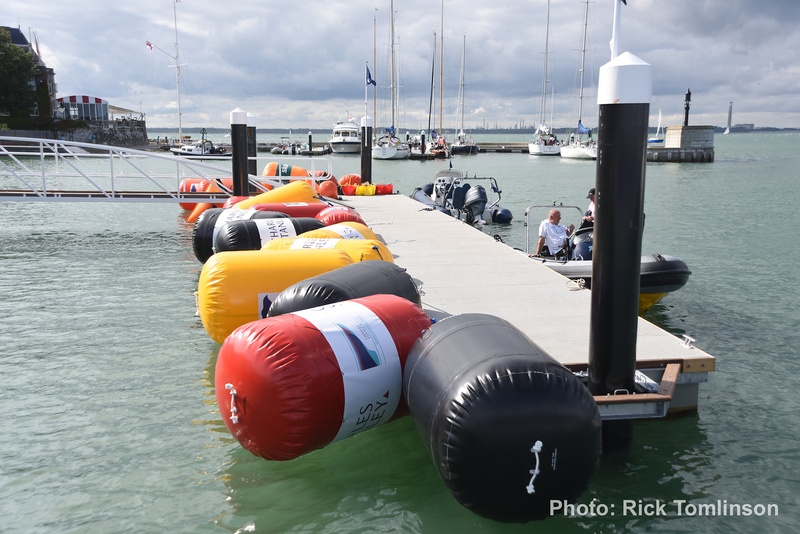 All RLYC Moorings are to be used at Members own risk. Both sides of the most northerly 20m part of the Parade Landing Pontoon (opposite the Royal London Club House) is for the exclusive use of RLYC Members and is known as Trinity Landing. This is between the two pontoon piles with the white tops nearest RYS. The following are the Rules for the use of the pontoon excluding Cowes Week for which there are separate Rules. For information: the Cowes Harbour Master controls the remainder of the Parade Landing. The Up River Pontoon is located at Whitegates, which is about 0.75 miles up River from the Club, on the West side of the river being the outermost pontoon and the berths indicated between the two columns marked RLYC. Both side of the pontoon being available to Club users. The Club launch will run from this pontoon. Primarily it is for RIB's and small motor launches. It will also provide easier disability access.